I just quilted near the ditch. I do like how that turned out. The borders are from a thrifted cotton sheet, the back from a flanel sheet. 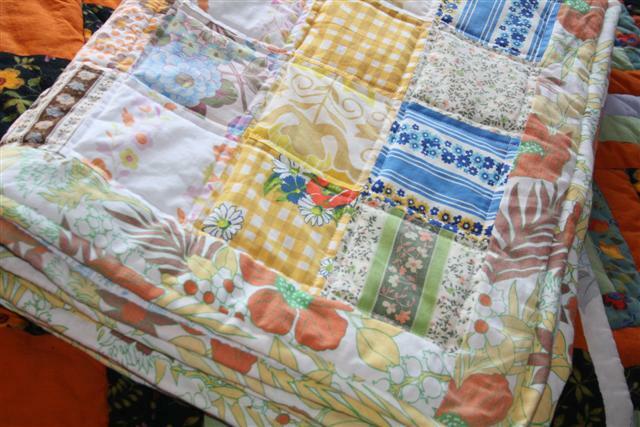 The quilt top was made from thrifted vintage pillow cases and the filling is an old molton. It's so cosy and warm!